Bing has just introduced a new tool to help you see the impact of bid changes in real time. 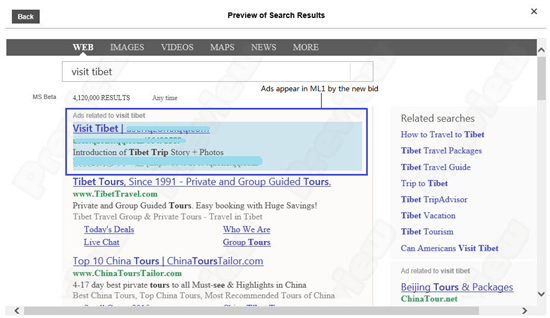 Bing’s Ad Preview and Diagnostic tool will have an icon indicating more information is available. The message could say something like “Bid Too Low” if your ads are not being shown because your bid is too low. There will also be a preview button so you can see how changes in your bid will affect ad placement.